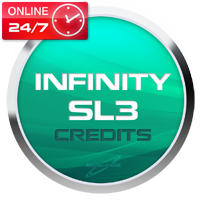 Infinity/BB5 Best Easy Service Tool credits it's pack of SL3 credits for unlocking SL3 type phones using Infnity BB5 Best. Unlock are 100% safe due it's calculating unlock codes from your phone and you can even enter it manually. Activation Content Extractor it's additional activation for Infinity Box dedicated only for experienced users, not for beginners ! Software allows to extract user data (phonebook) from different mobile phones in case of dead or semi-dead phone. 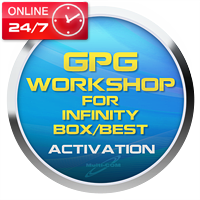 Activation GPG Workoshop for Infinity Box/Best it's activation for biggest datbase for schmatics, service manuals, pinouts, hints for repair not only GSM but also Laptops, monitors, TV, camera videos. If you ever tried to search needed data you know how much time it takes - with this dongle searchign over trademark and model take only few seconds. So if you are makign electronic repairs in your center it's must dongle at your store. 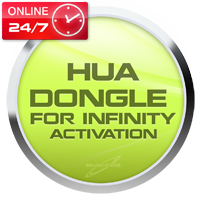 Activation HUA Dongle for Infinity allows to activate HUA software on all Infinity products as Infnity Box/Dongle, Infnity CDMA and Infonity BB5 Best. Hua dongle is a tool created by the already famous Asansam Team. This is a dongle protected software that allows you to direct unlock, repair imei, flash huawei phones. Initially created with Mediatek chipset support, HUA dongle will be also supporting Qualcom and Android models too. 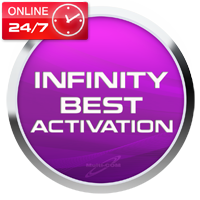 Activation SPTBox for Infinity Box it's additional activation for Infinity Box allows to use your Box as SPT Box and get full support from http://www.sptbox.com. Activaiton it's Online - don't need to buy any additional Box so no shiping apply. 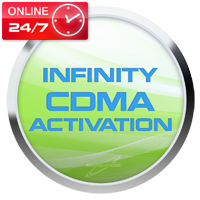 CDMA Activation for Infinity Box is CDMA service tool developed by Infinity-Box Team. The main aim or this software is to offer easy way to unlock different kind of CDMA models (RUIM and non-RUIM based). Tired to run special software for each model and select required file each time ? If you need easy solution - this software is for you. DC Unlocker FULL activation for Infinity Box/BB5 Best lets you use all of the DC Unlocker software features on any Infinity Box / BEST / CDMA Dongle. 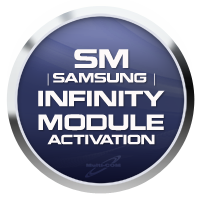 With this activation you can unlock almost all of the supported external and internal modem models for free. 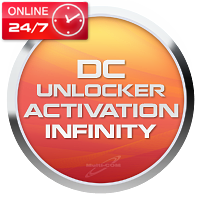 DC unlocker is a program specialized for data card unlocking. It is the first universal data card unlocking product worldwide. It doesn't need any cables or adapters for unlocking. The data card can be simply unlocked in the same notebook where a PCMCIA or Express socket exists. New models are being added regularly. 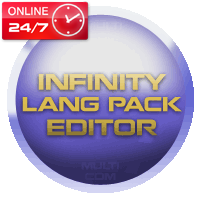 DC Unlocker Lite activation for Infinity Box/BB5 Best lets you use all of the DC Unlocker software features on any Infinity Box / BEST / CDMA Dongle. With this activation you can unlock almost all of the supported external and internal modem models for free. 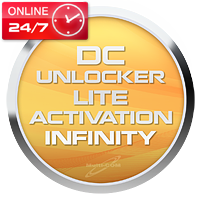 DC unlocker is a program specialized for data card unlocking. It is the first universal data card unlocking product worldwide. It doesn't need any cables or adapters for unlocking. The data card can be simply unlocked in the same notebook where a PCMCIA or Express socket exists. New models are being added regularly. GBKey activation for Infinity Box add the power of GBKey software to your Infinity Box with this activation. GBKey gives you FREE & UNLIMITED UNLOCKING for Huawei, Huawei Modem, BlackBerry, Alcatel MTK, Alcatel U7, Alcatel Modem, LG, Samsung Swift, Samsung 3G, ZTE Qcom-Android, ZTE MTK, and many many more..
Infinity BB5 Best Activationis new activation that allows to service Nokia phones. Sometimes customer can ask save data from dead set before reflash it or repair. Like phonebook or gallery or calendar or... something else. At this stage technican can use activation to make backup of usefull data of the customer and flash the phone without any problems Flash dead phones using USB cable RPL backup, S40 Dead mode content flashing ( afterflash we not have empty gallery ) and so on. 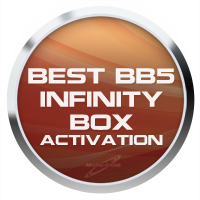 Infinity BOX actrivation for BB5 Best it's additional Infnity Box activaiotn for all BB5 Best users which allows to use all features of Box software as CM2 aplication and all rest. Micro-Box Activation for Infinity rrom now its possible to activate Micro-Box for your Infinity-Box Smart-Cards. This means that you can add Micro-Box software into your Infinity Smart-Card and save a lot of money and time for new Dongle delivery. 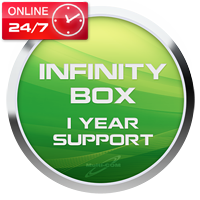 Support activation for Infinity-Box for 1 year allows you to get access to Support page that allows to download flash and other neccessary files for your Box as also use new software version within 1 year from activation. New updates/support policy is related to Main Infinity-Box owners only, other Infinity-Box users will remain on old update/support policy.